Investors are waking up to the importance of sustainable investing. Many are recognising that if we don’t act now to make the world a better place, hundreds of millions of people and some of the most pristine places on earth are at risk of drowning under rising oceans caused by global warming. Major environment and social challenges underpin the growing momentum by investors to back companies that are aligned to their beliefs and values. The view is that companies that take environmental and social considerations seriously are reducing risk and therefore represent better long-term investments. The launch of ETFs in this space is enabling greater choice at a lower cost. The most common form of sustainable investing is socially responsible investment (SRI), which aims to integrate non-financial factors such as ethical, social or environmental concerns into the investment process to achieve both financial and moral outcomes. SRI is generally a ‘negative screen’ process and works by excluding investments in companies involved in such activities as the production of tobacco, alcohol, military weapons and civilian firearms, gambling, nuclear power, fossil fuels and adult entertainment. Another form of sustainable investing considers environmental, social and governance (ESG) factors in investment decision-making. These may be applied by both negative and positive screens and usually involve a rating system. ESG factors include such considerations as labour standards, greenhouse gas emissions, workplace diversity, efficient use of resources and corporate governance. One of the world’s largest investors, Norway’s US$1 trillion sovereign wealth fund, is stepping up its assessment of the risks posed by climate change and considering excluding sectors producing too much greenhouse gas. This is not just a trend seen in Europe and the US. 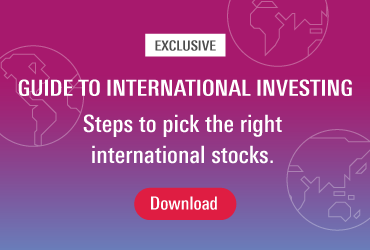 In Australia, institutional investors have been at the forefront of sustainable or responsible investing with the approach expected to be a minimum standard of good investment practice. It is estimated that in Australia, $622 billion in assets under management (AUM) are now being invested through some form of responsible investment strategy. This is up 9 per cent from $569 billion in 2015, representing around half of all assets professionally managed in Australia (44 per cent), according to the Responsible Investment Benchmark Report 2017 from the Responsible Investment Association Australasia. The global momentum around sustainable investment is now building as retail and institutional investors demand companies behave in a socially responsible way. There is also recognition in the financial community portfolios may benefit from the introduction of ESG criteria, with some studies indicating the possibility of outperformance over the longer term. Analysis from MSCI indicates that ESG can have a positive impact on performance. In their paper, Can ESG Add Alpha, MSCI analysed the performance of two portfolios, one with an ‘ESG Tilt’ strategy overweight stocks with higher ESG ratings. The second was an ‘ESG Momentum’ strategy overweight stocks that have improved their ESG rating over recent time periods. “We find that both of these strategies outperformed the global benchmark over the last eight years, while also improving the ESG profile of the portfolios. Furthermore, a significant part of their outperformance was not explained by style factors, and thus may have been attributable to ESG factors,” MSCI said. According to the Responsible Investment Benchmark Report 2017, “the comparison of responsible investment funds against mainstream equivalent funds and their benchmark index indicates outperformance across the majority of time periods”. The Volkswagen (VW) emissions scandal highlights dramatically what can go wrong if companies don’t act responsibly. In September 2015, the US Environmental Protection Agency announced an emissions manipulations case against the automotive giant. VW admitted to installing software in certain cars to circumvent the accurate measurement of nitrogen oxide emissions in diesel cars from model years 2009 to 2015. Many VW shareholders would have seen their wealth decline due to the company’s irresponsible behaviour. The demand for sustainable investing is driving product innovation. A new class of sustainable investment ETFs is enabling investors to more easily and affordably access a portfolio of sustainable companies for a fraction of the cost of investing in ethical managed funds. Investors are demanding a more rigid values-based responsible framework over their investments and a number of industry participants, including VanEck, are meeting this demand by selecting only the highest rating companies that deliver on ESG and sustainability. Arian Neiron is the managing director and head of Asia Pacific at VanEck, one of the world’s largest ETF providers. This is a financial news article to be used for non-commercial purposes and is not intended to provide financial advice of any kind.